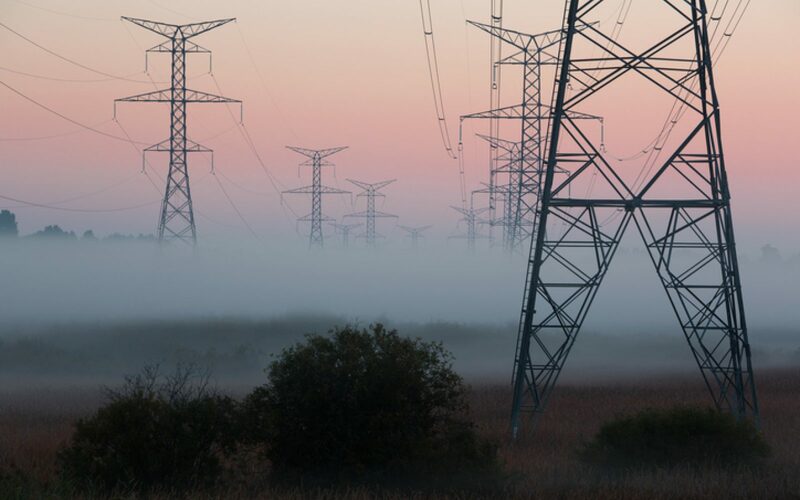 Spring's cold weather produced unexpected stress on the grid, highlighting the need to ensure good short term operating reserve, with back up balancing electricity to call on. The replacement of 11GW of coal capacity with other flex causes a major transition in price-setting dynamics and the requirement to look elsewhere for grid balancing. Gas peaking has seen a rise in deployment as a short-term solution while battery storage gains more traction. Electricity peaking stations can provide rapid response suited to peaking reserve, power and grid support applications. Benefits of gas peaking include the ability to maximise trade revenues through high efficiency/low switch-on price, increased electrical output and rapid start times. Gas turbines help match supply to demand. Maintaining increasing amounts of "spinning reserves" and frequency regulation compensates for the intermittency of non-dispatchable assets, but presents more issues which can be addressed by battery storage. Combining battery storage with gas turbines could provide the grid with contingency reserve, tackling inefficiencies by requiring turbines to operate less on minimal loads. EPC costs are reducing, partially due to increased sophistication and combination of technologies used by EPC companies, as well as new installation approaches to increase labour productivity. Lower utility-scale costs are also explained by falling module and inverter prices. Lower costs lead to large scale solar developments, underpinned by the PPA model, becoming viable sooner than anticipated. Scale plays a part both at a project and market level as economies of scale apply within a project. "…grid parity is going to be reached sooner rather than later, perhaps even by 2020…. Indeed, a government report at the end of last year seemed to confirm that by 2020 the cost of large scale solar would be around £67 per megawatt hour which is almost the same as gas." The electric vehicles market is charging forward, with car makers aggressively marketing their new proffering. Government is supporting the market with policy initiatives, regulations and financial backing to EV infrastructure. One initiative is a charging infrastructure fund under which the government aims to invest up to 50% of the total capital committed and deployed (up to £200 million) on businesses and projects in EV charging infrastructure. Growing use of EVs has important implications for the Grid, with additional capacity is needed to generate, transmit and deliver additional energy. One key facilitator to EV deployment, charging infrastructure, and grid balancing when meeting new demands, is battery technology. Battery technology has already received keen interest and uptake in deployment as a standalone asset (BSR EPC hit the news in December 2017 for completing the construction of the 49.99MW battery storage project following selection by SMA Sunbelt Energy GmbH). Most of the capacity for mid-2018 constituted 49.99MW projects. The market is split between large front-of-meter projects (making up most of the capacity) and more commonly, smaller behind the meter projects (less vulnerable to external revenue stream fluctuations). Solar Power portal announced the leap forward for large scale storage this year with over 450MW in large scale battery storage installed capacity only halfway through 2018 and "around 250MW being completed this year alone." Battery storage is one of the key pieces of infrastructure necessary for the burgeoning EV market. One notable project announced is Pivot Power's "world-first national network of grid-scale batteries and rapid electric vehicle (EV) charging stations, to support a cost-effective, reliable, low-carbon energy system and enable rapid adoption of clean transport." The uptake of blockchain technology in the energy and trading industries has been exponential in recent years with leading banks, corporates and advisors investing in developing some form of blockchain related offering, including Goldman Sachs. Blockchain technology poses opportunities for P2P transactions in a variety of industries, particularly large, commodity-based industries like energy. Blockchain has the resources to radically alter the energy and commodity trading market, which operates on thousands of daily transactions and requires automated and manual processes to manage key risks. Blockchain can introduce trading market efficiencies and cost savings. The market is developing powerful applications using blockchain for each "transaction life cycle." Ernst & Young have praised blockchain as the "mechanism for price discovery and trading, all the way through to back-office settlements and payment." Energy/commodity transactions involve many processes across the market, and internally within each company. Counterparties to transactions must authenticate and resolve transaction information many times up to deal settlement. Throughout the transaction period, companies need to interact with counterparties and third parties, including banks, exchanges, regulators, brokers, logistics providers etc requiring a network of data interfaces and processes. Internally, processes are necessary to ensure a true understanding of the transaction information. Blockchain offers the opportunity to streamline both external and internal processes and disrupt trading industry processes. Prevention of double counting of assets, record ownership and transfers through the core logic, thus enabling better management of finite resources. Stuart is a member of Foot Anstey's real estate team focusing on the renewables and energy practice. He has detailed knowledge and expertise in this sector and provides strategic and transactional advice to developers and funders of energy projects. He has experience in both renewables - solar, wind (on and off shore), energy from waste (AD and biomass) as well as the traditional energy supplies - gas and electricity operational properties. 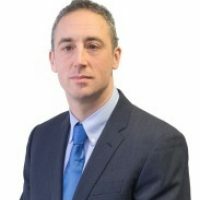 He also has detailed experience advising utilities and telecoms companies on acquisition of their operational network sites.